Forgetting the screen passcode can be a major hassle as without it you cannot access your device and its contents. While there are a few ways you can employ to unlock the screen, resetting the passcode will result in losing valuable data. Read on to find out how to reset iPhone passcode without losing data. There is no official way to reset iPhone passcode without losing data on the device. However, there is an indirect way to reset the iPhone passcode and still have data afterwards. The process is a bit lengthy but it is worth it. It is a 3-step process. 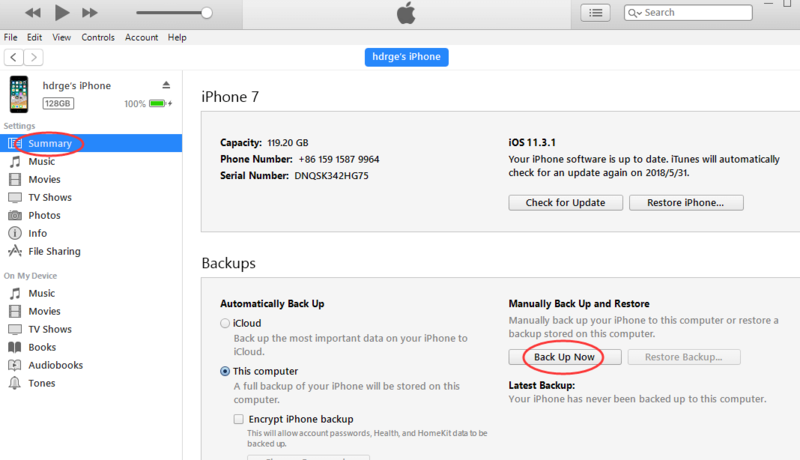 First, you will need to backup your iPhone with iTunes. After that, reset iPhone passcode via a third-party iPhone passcode removal tool. And finally, once the passcode is reset, restore the backup to iPhone. When it comes to iPhone passcode removal tools, it is recommended that you use iMyFone LockWiper. This tool is highly efficient when it comes to removing iPhone passcode. It is also very easy to use as removing iPhone passcode via LockWiper is a matter of following a few simple steps. There are many features of iMyFone LockWiper. 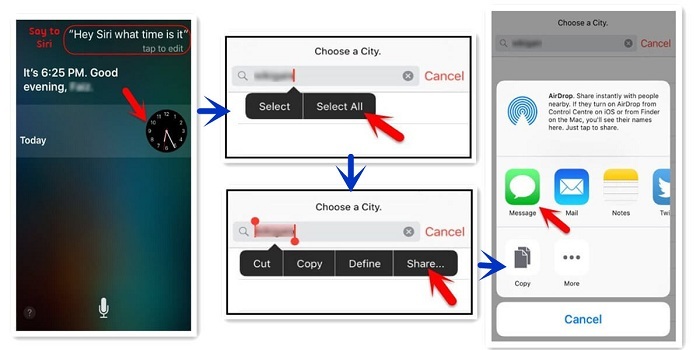 Remove iPhone passcode conveniently within just a few steps. Remove Apple ID from any iDevice without providing any password. Bypass/remove lockscreen passcode from an iDevice even if it has a broken screen or its disabled. User-friendly software interface. Even people who aren’t tech-savvy can easily use LockWiper to bypass screen passcode. 100% safe Apple ID removal. 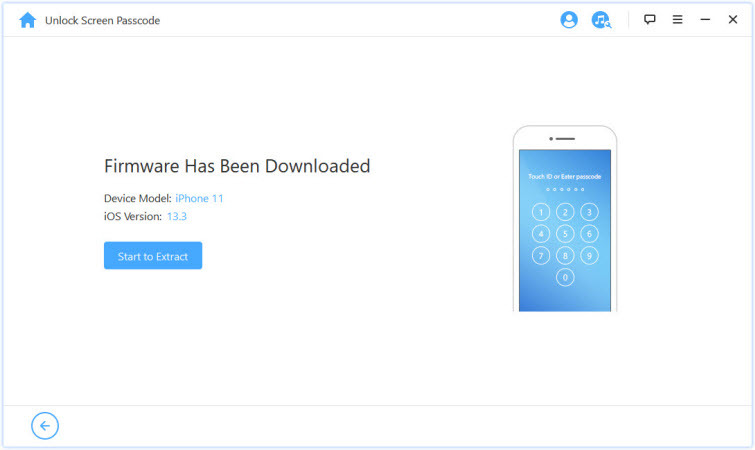 After removing Apple ID via this tool, you can use a new ID in the device without any issues. Step 1: Use a compatible USB cable to connect your iPhone to your computer. Step 2: Launch iTunes and navigate to Summary > Back Up section to backup your iPhone data. Step 3: Now launch LockWiper on your computer. It will automatically detect the device. If it’s not detected, then you will need to put your device into DFU/Recovery mode. Step 4: From the home interface of the software, click on Unlock Screen Passcode. Step 5: On the next screen, click on the Start button. LockWiper will look for compatible device firmware. 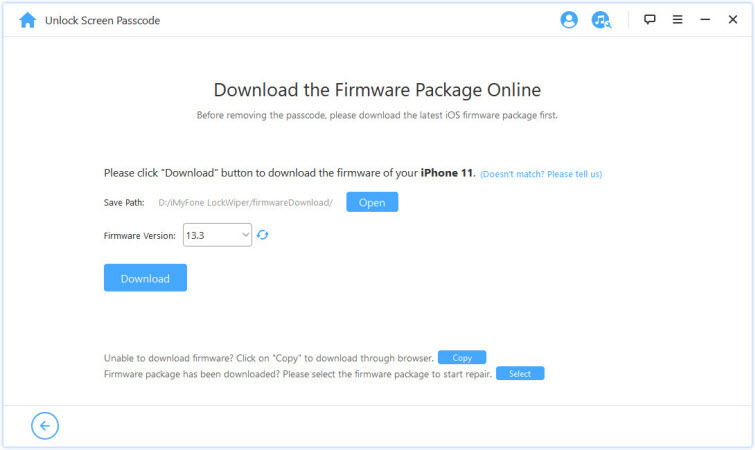 Once the firmware is found, click on the Download button to start the download. Step 6: Once the firmware is downloaded, click the Start to Extract button. Step 7: After that, click on Start Unlock button. You will need to input “000000” and click on the Unlock button to confirm your action. Once you do that, the unlocking process will begin. You can use Siri to reset iPhone passcode without losing data. However, this technique might fail as it is not proven. This method has been observed to work on devices running on iOS versions 8.0 to 10.1. Step 1: Hold the Home button on your iPhone to activate Siri. Step 2: Ask “What is the time, Siri?”. You will see the Clock on the screen. Tap on it and then tap on “This will open World Clock” option shown on the “+” icon. Now type the name of any city in the search city section and tap on “Select All”. Step 3: Next, tap on Share > Message. On the next screen, type anything in “To” field and then tap on the “Return” button. After that, tap on the “+” icon. Step 4: Then select “Create New Contact” and tap on “Add Photo > Choose Photo”. Step 5: Once the photo library is opened. Tap on the Home button and you will see the home screen of the device. Now you will be able to use the device and access its contents without providing any passcode. Another way to reset iPhone passcode without losing data is to contact Apple Support and provide a proof that the device is purchased by you from Apple. There are different ways to contact Apple Support. These include going directly on Check Coverage page of the Apple’s official website, visiting Apple Online Support page, contacting Apple Support by phone, etc. The serial number of your iPhone. Note: You may need to provide other certain files if requested. In conclusion, there is no official or direct way to reset iPhone passcode without losing data. 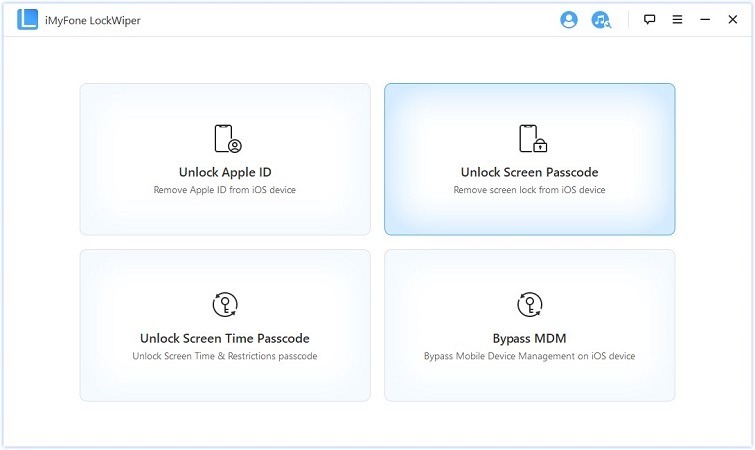 However, with the help of a third-party tool like iMyFone LockWiper and performing some additional steps, you can reset iPhone passcode and get your lost data back. You will simply need to backup your iPhone via iTunes, reset iPhone passcode via iMyFone LockWiper, and then restore your backup. There are a couple of other ways to reset iPhone passcode. These include using Siri and contacting Apple Support. However, these methods to reset iPhone passcode without losing data aren’t guaranteed to work. So, it is recommended that you use the method that involves using iTunes backup/restore and resetting the passcode via LockWiper.